In June 1943 the Anti-Concrete Committee was setup to develop methods for breaching sea walls and destroying concrete defences in preparation for D-Day and the invasion of Normandy. As part of this they constructed full sized replica sections of the Atlantic Wall in the UK based on intelligence gathered by the French resistance and British Intelligence to be used in a series of trials. Three of these walls were constructed on Foulness Island on the east coast of Essex in England. Each of the walls were 100 yards long, 10 feet tall and 9 feet thick. 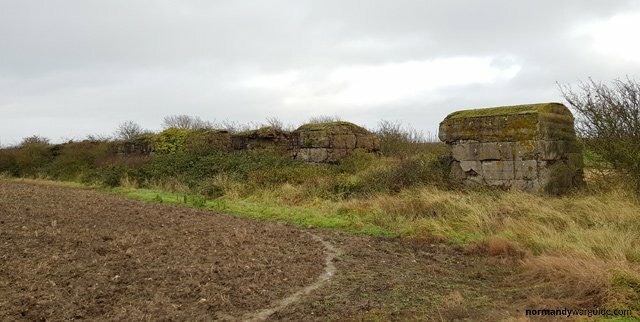 The walls at Foulness were used for a series of weapon trials in 1943 and 1944. The trials included the use of general wade charges and flying dustbins officially known as Bombs Demolition No 1. The flying dustin bin trials consisted of a series of static (charges placed against the wall) and dynamic (fired from a tank) shots using the Mk1 40lb and a new 30lb dustbin which was currently under development. The static shots were propped against the wall and detonated without their tail units. The pictures below are from trials carried out on the 21st & 22nd June 1944 on Foulness Island and show the a charge propped against the wall and the resulting damage. 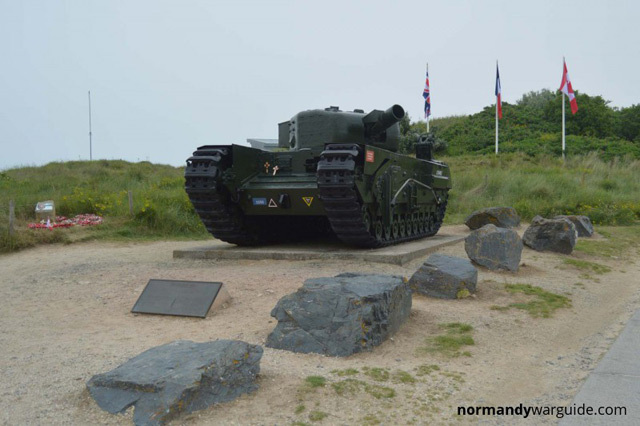 The dynamic shots were projected from a range of 75 to 80 yards from a Churchill AVRE Tank similar to the one below. Trials of general wade charge (Charge Demolition No.2 25lb MK.I) with different explosive compositions were carried out in a similar manner to the static flying dustbin trials, the charges were propped against the 10ft thick concrete wall and detonated. 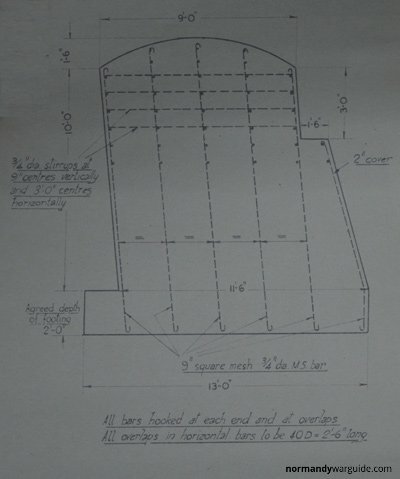 The resulting craters were then measures on the vertical and horizontal panes along with the maximum depth and number of sheared reinforcing bars noted. The pictures below were taken during the on the 23rd June 1944. Two smaller wall were also constructed on the neighbouring island of Havengore in three different segments of the following dimensions. However a report on the trials at Havengore report that one of the 5ft 3in thick walls and one of the 7ft 6 inch thick walls have been destroyed during trials. A small section of the wall still exists today pictured above with the addition of a modern observation post. Today both Havengore and Foulness island are owned by the MOD and are still used for weapons testing which means public access to the islands is heavily restricted and usually only permitted to access the heritage centre and the road leading to it.